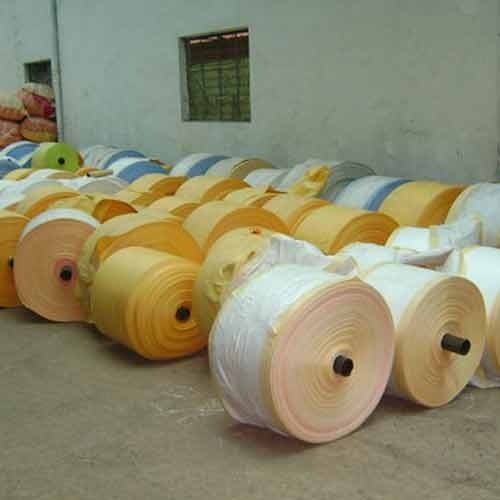 One can avail from us a wide array of Woven Fabric Rolls. These products are widely demanded by the clients for their precise use. Our products are reckoned amongst the clients for their availability in various colors. The offered products undergo rigorous quality checks before being introduce them in the market. One can get these products at market leading prices. Abhinandan Petro Pack Pvt Ltd was incorporated in the year 1995. Since then, we are involved in manufacturing, exporting and supplying a comprehensive range of Mesh Packaging Materials, Packaging Materials, Cement Bags and many others. To manufacture these products, we use high quality raw material that is procured from the trustworthy market vendors. We have also adopted various quality guidelines recommended by the industry to maintain consistency in the delivery of quality approved range in the market. After examining our products on varied parameters, we allow to make them available in the market. Latest production methods are also adopted to improve the manufacturing capacity as well as accomplish growing specifications of clients. Apart from this, our products are acknowledged for their remarkable features such as fine quality, smooth finish, easy maintenance, reliability, durability and many others.